Statement: Two resistors R1 (500 ohms) and R2 (unknown) are connected in the parallel configuration. The current across R1 is known to be 5 A. Whereas the current entering the circuit is 30 A. 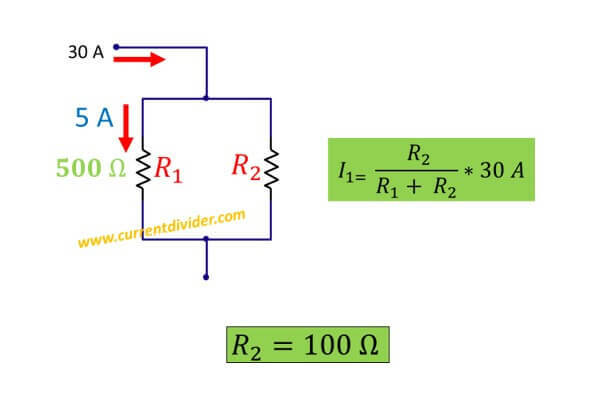 Apply the current divider principle to find the current flowing the unknown resistor. 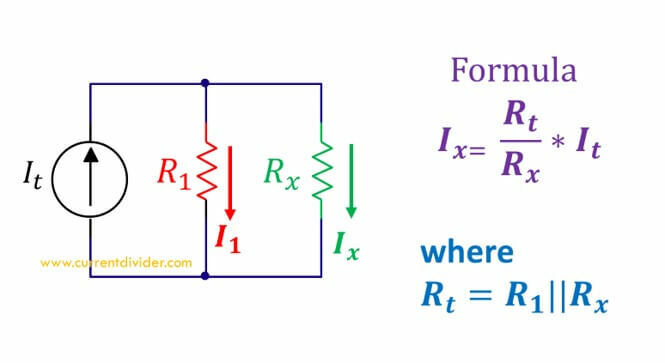 We can also verify our answer by putting values of resistors and input in the Current divider calculator.